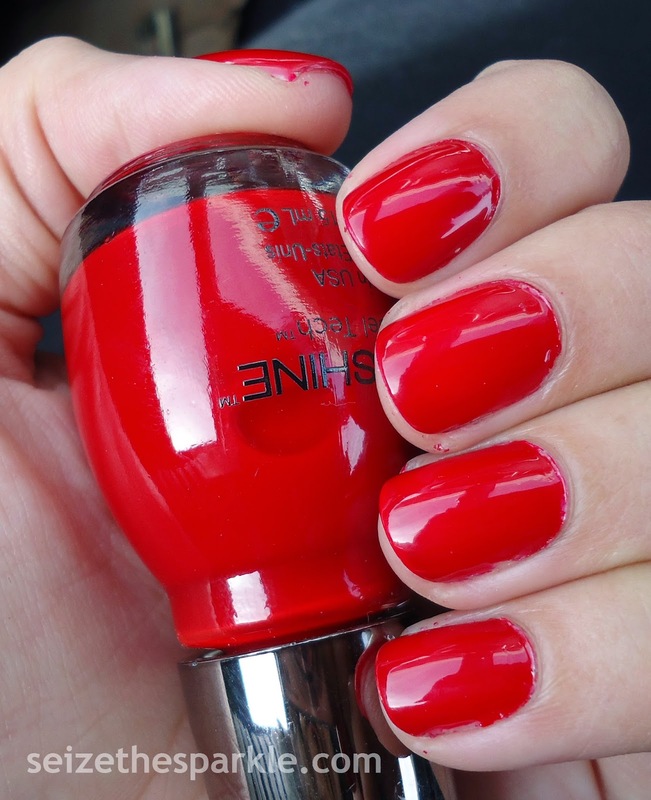 Every now and then, I just feel the need to wear a nice, classic, red polish. Devious has a crelly finish, as you can tell by my VNL. It's not incredibly noticeable if you're looking at my nails from a regular distance. Of course, up close, and in my photos, it's there and not being shy about it! I'm not sure why, but I tend to not wear reds all that much. Which is weird, because I definitely buy enough of them! The other night, I was organizing the Sparkle Stash, trying to get all my untried polish in one bin. It's an ongoing project at the moment, but I have so many reds in there! Sheesh. Reminds me of WHY my Holiday No Buy is such a good idea!